Is Pepto-Bismol Safe For My Dog? What Symptoms Should You Use Pepto-Bismol to Treat? How Much Pepto Bismol To Give a Dog? How Long Can Your Dog Take it? Can I give Pepto Bismol to my cat? When your dog has an upset stomach, car sickness or diarrhea, it is obviously a very frustrating experience for both of you. While you may not want or have the option to leave the ill pooch in your backyard until its symptoms abate, doing so would certainly be easier than hoping he doesn’t stain your carpets or furniture. Therefore, it is useful to note that most of the time, healthy dogs are able to take over-the-counter medications to relieve your dog of diarrhea or an upset stomach. It is relatively safe to give pepto bismol for your dogs. However, I would not recommend giving them since they are meant for human consumption and there are many alternatives that work much better for a dog. There are plenty of options that are more suitable for your dog which will help alleviate the symptoms and get your dog back to normal more quickly. If this is a one-off episode, there is nothing to be concerned about. But, if your pooch regularly has an upset stomach, you need to get to the bottom of it(Ignore the pun!). You need to observe when your dog get stomach issues. It could be very likely that a certain treat is intolerable to your dog’s stomach. The most likely reason for regular bouts of stomach issues is that your dog has a sensitive stomach. And you need to pick out a dog food for sensitive stomachs. There are many limited ingredient dog foods in the market that are tailor-made for dogs with a sensitive stomach. 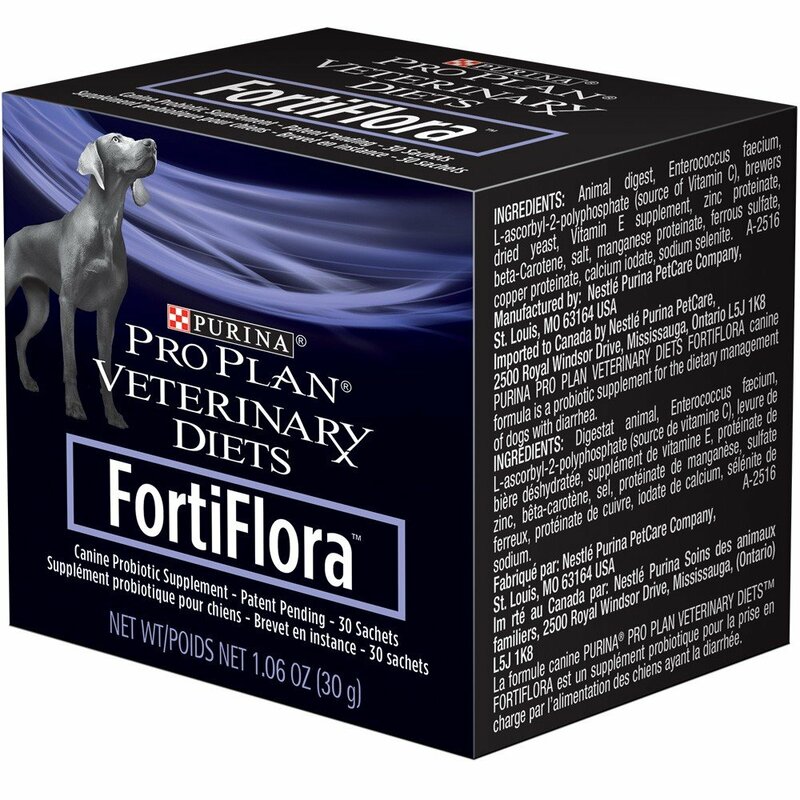 I have picked the 5 best dog food options for sensitive stomach in this article. There are plenty of other choices that are more effective without the potential harmful effects since they are tailor made for dogs. Here are a few options I would recommend. 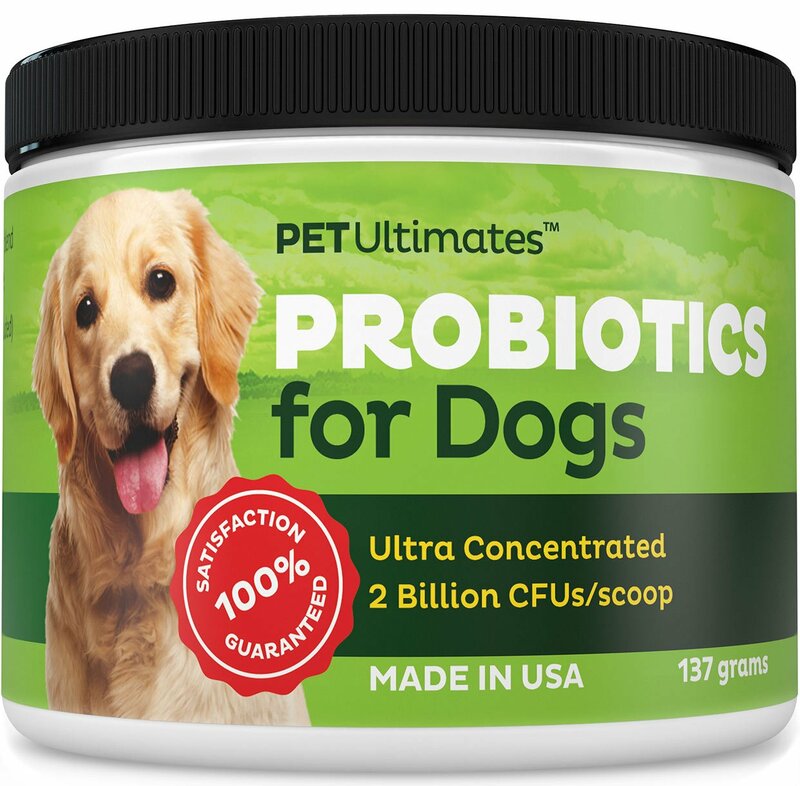 Suitable for dogs with a history of sensitive stomach as well as for dogs who need a little help recovering from a recent round of antibiotics. They have a 90-day money back guarantee. Dosage and administration: Just sprinkle one scoop on the food once per day and see your dog recover in amazingly quick time. The advised dosage of Pepto Bismol for dogs is 0.5-1ml per pound of the weight. It should be administered every 6-8 hours. For the Pepto Bismol tablets, this is equivalent to ¼ tablet per 20 pounds of weight which should be administered every 6-8 hours. It is a good rule of thumb that, in general, prior to stopping and starting any medication, even something as normally innocuous as Pepto-Bismol, you should always consult with the veterinarian. That person will be able to give you precise information about administering it so that you can make the best choices for your pet. You will also need to consult about your pooch again, if he gains or loses weight in the future or as your puppy matures. It is easy to forget that most of the time; dogs are smaller and weigh less than their owners. That means that their health can quickly deteriorate as the result of only a day’s worth of water loss from vomiting and diarrhea. It is therefore recommended that your dog not be given Pepto-Bismol for more than 2-3 days. If the pink tablet or liquid did not lessen or remove the symptoms or if the problem returns soon after the last dose of medicine was consumed, it is again time to speak with your veterinarian again. The symptoms might be a much more significant problem that needs expert medical assistance, in lieu of a mild case of gastric distress. You may have noticed that there are two different forms of Pepto-Bismol at your local pharmacy. One is a chewable, pink pill that is often round or oval and the other is a similarly pink liquid. If using the pill, you should experiment with being able to break it into identical smaller pieces if the dosage for your dog requires less than a full pill. It can be harder than you think, due to the pill’s formation, so make sure you play with it before giving it. If using the liquid, draw a precise amount using a medication syringe and squirt it into your dog’s mouth. It often is taken faster if you release into a corner of its mouth, as far back as you can safely access. There are advantages to both forms. The chewable form can be tucked into your pet’s favorite snack and at least at first, your dog may not know how to spit it out without also spitting out the food. You should be warned that some dogs, especially if they frequently take medication, will eventually learn how to spit out pills, so watch carefully. Therefore, plan to stay with your pet until you are sure that the pill has been chewed up. The liquid medication may require that you hold your pet immobile while squirting it in their mouth. You can encourage swallowing by stroking the dog’s throat or area immediately under their mouth. If your dog is wise to pills and will no longer take them, liquid Pepto-Bismol is a good option and it also provides you with more control over the administration. Regardless, both types have a very sweet taste that may leave an after-taste, so be sure to provide your canine with water immediately after. Pepto-Bismol is typically considered to be a very safe substance. As with any medication, side effects may occur but are uncommon and generally mild. If the side effects last for more than a few hours or a day, it may indicate an underlying problem that needs to be addressed. That means that it will be best to consult with their medical care provider if the side effects are severe, on-going or if the original symptoms return soon after the medication is stopped. A very small number of dogs are allergic or sensitive to this pink medication. It is a good idea to remember that allergic reactions and sensitivities can develop at any time, even if your pet has previously been given Pepto-Bismol with no problem. If you observe any of those problems, it could be a life or death situation for your pet, so obtain emergency medical care immediately. In conclusion, dogs can get viruses or upset stomachs due to something they ate or drank, just like humans do. You don’t need to wonder any more “Can I give my dog Pepto Bismol.” Fortunately, Pepto Bismol is a safe, affordable way to get your beloved pet back to its normal health that has been used successfully for many years. Having said that, I would personally recommend the alternatives mentioned in the article.